The Kerrias Pecorino is a new wine for our estate. We planted the vineyard in 2002 and produced for the first time in 2007, bottled in the following spring. The name of the vine, native of Abruzzo, is derived from local traditions: the shepherds consumed it during the transhumance of the flocks. 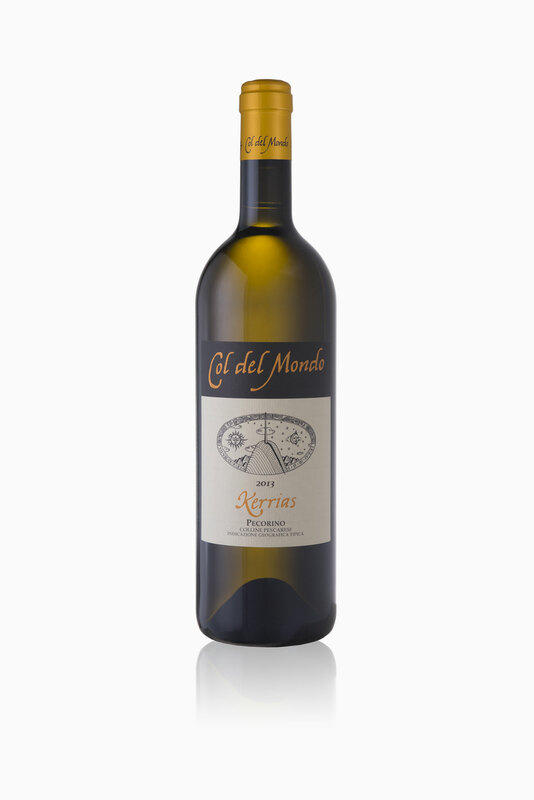 The main characteristics of this wine are linked to those of the grape, a massive concentration and a high sugar content, due to low production. The cluster is small and characterized by small and sparse berries. The bunches are selected and hand-picked, in boxes. In the cellar the grapes undergo a very soft pressing, the must is cooled to about 18 hours, so as to facilitate static defecation, followed by fermentation, favored by selected yeast for about20 days. Wine Appellation: Pecorino IGT "Colline Pescaresi"
Maturation process: 4 months in cement tanks on fine yeasts.